On Friday the House and Senate successfully passed a second â€œcontinuing resolutionâ€ (CR)â€” short-term stopgap funding legislation that temporarily extends current Federal Fiscal Year (FY) 2016 spending levels through April 28th, 2017. The legislation provides funding for the federal government until this date or until a separate full-year appropriations bill is enacted into law. The current 2016 fiscal year began this past October and the federal government has been operating under the auspices of an earlier CR passed by Congress just before this deadline. While it had seemed likely that Congress would pass comprehensive spending legislation for the full fiscal year during the current lame duck session of Congress, as they have several times in years past, incoming President-Elect Donald Trump requested that these critical funding decisions be further delayed until next spring. This decision leaves the outlook for funding for important federal programs, like the Carl D. Perkins Act, uncertain in the interim. This yearâ€™s earlier CR required a 0.496 percent across-the-board cut to all discretionary federal programs, including the Perkins Actâ€™s basic state grant program. Due to the Budget Control Actâ€™s (BCA) sequester caps, which significantly restrict the amount of funding available for programs like Perkins each year through the next decade, this reduction translated into $5.5 million in fewer funding for Perkins, students, and the CTE programs the law supports. At that time, the U.S. Department of Education (USDE) revised statesâ€™ Perkins allocations in October and 30 states received reduced grants amounts due to the passage of this temporary legislation. This most recent CR re-adjusts this half percent reduction somewhat to 0.19 percent to stay within the BCA caps. However, USDE is not likely to reimburse states for the difference between these two spending cuts until a full-year spending bill is successfully enacted. The ongoing uncertainty caused by the current series of stopgap funding measures from Congress is already creating uncertainty for states and local school districts who need to prepare budgets for the upcoming academic year. Moreover, the budget process for the next federal fiscal year (2018) will begin in late winter of 2017 further complicating matters as efforts to fund federal programs like Perkins increasingly overlap. Advance CTE encourages the CTE community to let their members of Congress know how important it is to restore cuts to Perkins in the coming months and pass comprehensive legislation that replaces these counterproductive CRs moving forward. To do so click here. Be sure to check back as the outlook for Perkins funding continues to evolve. Although Congress is out of session until the first week of April, lawmakers continued to examine the Obama Administrationâ€™s proposed Fiscal Year (FY) 2017 budget just before their â€œEaster Recessâ€ was set to begin late last week. Newly confirmed U.S. Secretary of Education John King appeared before the House Labor, Health and Human Services, and Education Appropriations Subcommittee last week to discuss his departmentâ€™s proposed spending priorities contained in the Presidentâ€™s FY 2017 budget. As we have shared previously, the Obama Administration proposed flat-funding for the Carl D. Perkins Actâ€™s (Perkins) basic state grant programâ€” approximately $1.118 billion at current levels. Rather than proposing to fully fund the core formula grants that compose Perkins (which are still $5 million below â€œpre-sequesterâ€ levels) the Administration renewed its call for a new competitive grant program known as the â€œAmerican Technical Training Fundâ€ (ATTF). Thus far Congressional lawmakers have met this proposal with measured skepticism. Members have been raising a number of concerns related to the ATTF and the U.S. Department of Educationâ€™s (USDE) other proposed CTE-related spending priorities, all of which would be made at the expense of fully investing in the Perkins Act. During the House hearing last week Rep. Roby (R-AL) echoed these sentiments saying, â€œRather than funding a large competitive grant, it seems to me that these funds would be better used to support state formula grants which would ensure more students are able to benefit from the CTE experience.â€ Rep. Womack (R-AR) also reiterated these concerns, questioning why USDE was proposing to fund a â€œnew and unproven programâ€ while failing to fully invest in its existing CTE commitments like Perkins. The full hearing and related testimony can be viewed here. Although the CTE-related spending priorities in the Presidentâ€™s FY 2017 budget have been disappointing, a group of 150 lawmakers have taken the opportunity to champion Perkins funding in the upcoming budget and appropriations cycle. In the House 118 members of Congress signed on in support of â€œpre-sequesterâ€ funding levels for the Perkins basic state grant programâ€” a record number of signatures from both sides of the aisle. In the Senate, 32 Senators signed-on in support of a similar letter calling for the same funding levels in the upcoming appropriations process. Advance CTE applauds these lawmakers for formally expressing their support of Perkins funding and a special note of thanks goes to House CTE Caucus Co-Chairs Rep. Glenn Thompson (R-PA) and Rep. Jim Langevin (D-RI), along with Sen. Richard Blumenthal (D-CT) who lead these efforts in their respective chambers. The letters can be viewed here and here. If your member of Congress signed-on in support of either of these appropriations letters, we encourage you to visit ACTEâ€™s Action Center to send your lawmaker a note of thanks! 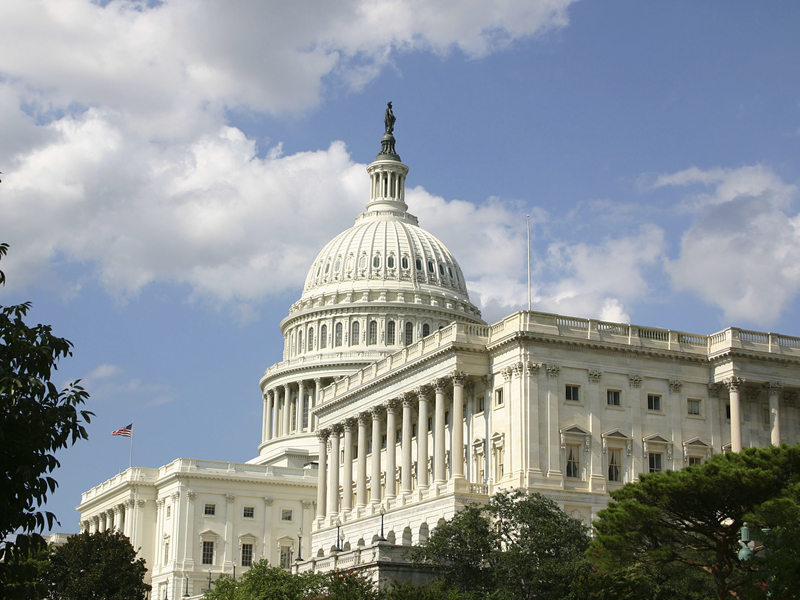 As we shared last October, the Senate Health, Education, Labor, and Pensions (HELP) Committee began to formally consider the reauthorization of the Perkins Act. While these efforts have been overshadowed by higher profile issues such as the federal budget, the Supreme Court nomination process, and the upcoming Presidential elections, the committeeâ€™s consideration of Perkins has continued behind-the-scenes for much of this year. HELP Committee members have been working to expand upon the bipartisan Perkins reauthorization principles they released last fall and it is possible that this work could culminate in a draft bill as soon as the next few weeks. In the House, formal consideration of Perkins is still in the early stages but it remains a significant priority for the House Education and the Workforce Committee this year. As this work continues, Members of Congress have been working on smaller pieces of legislation that they hope will inform the wider reauthorization process. One such bill, the CTE Equity and Excellence Act (S. 2718), introduced by a handful of Senators on and off the HELP Committee proposes to amend Title II of Perkins to fund high school reform efforts by harnessing the potential of CTE to support greater student achievement. Advance CTE looks forward to working with these offices on a wider reauthorization effort where proposals such as this can be thoughtfully considered in the context of the entire legislation. Congress passed the â€œEvidenced-Based Policymaking Commission Act of 2016â€ this month which would establish a committee to make recommendations for how the federal government can use data to evaluate federal programs and more effectively spend public resources. 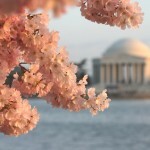 More coverage of the bill can found on the Workforce Data Quality Campaignâ€™s blog. Read the full bill here. The House Education and the Workforce Committee held a hearing this month to explore current federal policies related to education research and student privacy. This hearing is part of a wider effort to reauthorize the Education Sciences Reform Act (ESRA). More info can be found here and here. USDE convened the first round of negotiated rulemaking this month to develop regulations to govern the ongoing implementation of the Every Student Succeeds Act (ESSA). A number of topics are being discussed as part of these negotiations, most notably for the CTE community specifics related to ESSAâ€™s new assessment framework and the implementation of the lawâ€™s new â€œsupplement-not-supplantâ€ spending requirements. Last week, Acting U.S. Secretary of Education John King participated in multiple congressional hearings to discuss the potential of the Senate formally confirming his position as Secretary (he has been â€œActingâ€ since December 2015), the ongoing implementation of the Every Student Succeeds Act (ESSA), and the Administrationâ€™s most recent budget request for Fiscal Year (FY) 2017. King first appeared before the House Education and the Workforce Committee (HEW) to highlight his departmentâ€™s education priorities outlined in the Presidentâ€™s final budget request to Congress. As we shared earlier, the President proposed to fund the Carl D. Perkins Actâ€™s (Perkins) basic state grant program at approximately $1.118 billion in the upcoming fiscal yearâ€” the same amount the program has received since FY 2014 or about $5.4 million below â€œpre-sequesterâ€ levels. Instead the Administration renewed its proposal for an â€œAmerican Technical Training Fundâ€ (ATTF), a competitive grant program that would focus limited investments in shorter-term job training initiatives in high-demand sectors. This type of proposal has been an enduring theme in the Presidentâ€™s past budgets and was one that could be found throughout the budget request this yearâ€” proposals for a series of many new or competitive programs at the expense of existing ones. Chairman John Kline (R-MN) expressed significant concerns about this at the outset of the hearing, arguing that these proposals were untested and would lead to â€œchronically underfundingâ€ existing investments in education. House CTE Caucus co-Chair Rep. Glen Thompson (R-PA) reiterated these concerns further into the hearing. Specifically he pressed the Acting Secretary to explain why the Administration had proposed the ATTFâ€” which would only support 5-25 programs in the country according the U.S. Department of Educationâ€™s (USDE) own estimationâ€” when it had reported the same week that many Career Technical Education programs throughout the country had waiting lists due to lack of capacity. King responded by highlighting the Admisntrationâ€™s â€œNext Generation High Schoolâ€ efforts, a separate proposal from ATTF.Â Rep. Marcia Fudge (D-OH) also expressed similar concerns about the ATTF proposal, particularly related to the challenges low-income communities would face when trying to compete for these grants. Further in the week, King returned to HEW to talk about the ongoing implementation of ESSA. Here he focused his remarks on USDEâ€™s plans for the lawâ€™s implementation over the coming few years and the specific resources his department was developing for these purposes. A new ESSA FAQ resource was published by USDE shortly after this hearing. Later that same day, King appeared before the Senate Health, Education, Labor, and Pensions (HELP) Committee as members there considered his nomination to formally serve as U.S. Secretary of Education for the remainder of President Obamaâ€™s time in office. During his remarks the Acting Secretary highlighted his experience as Commissioner of Education in New York and his efforts to expand CTE offerings in the state through a partnership with IBM and the expansion of their P-TECH program. King also emphasized the need to reauthorize the Perkins Act saying, â€œLetâ€™s make 2016 the year we transform career and technical education for the 21st century by driving innovation and quality.â€ The HELP committee is set to vote on his nomination in the coming weeks and it is widely expected that the full Senate will take his nomination up sometime following that. Ask Your Members of Congress to Support Perkins Funding! This month, Members of Congress in both Chambers will have the opportunity to voice their support for additional Perkins funding in the upcoming FY 2017 budget and appropriations process. CTE Caucus co-Chairs Rep. Thompson (R-PA) and Langevin (D-RI) are currently circulating a letter in the House that calls for â€œpre-sequesterâ€ funding levels for Perkins in FY 2017â€” about $5.4m over what is currently being invested in the lawâ€™s basic state grant program. Senator Blumenthal (D-CT) is circulating a similar letter in the Senate with the same ask of Congressional appropriators in that chamber. Perkins is the sole federal investment in CTE and provides foundational support for high-quality CTE programs found in every State and congressional district. However due to difficult decisions made over the past few years, Perkins funding has declined by 13 percent since FY 2007â€” approximately $170 million less now goes to support high schools, tech centers, and community colleges via the Perkins Act. Advance CTE encourages you to reach your to your Members of Congress to urge them to sign-on in support of these letters. To do so, please visit the Association for Career and Technical Educationâ€™s (ACTE) CTE Action Center to email your Representative and / or Senator and voice your support!